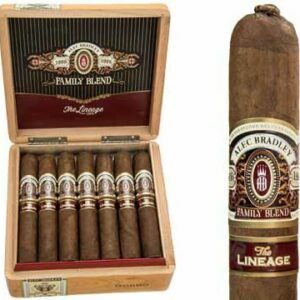 If you are a fan of the Viaje line of cigars - you know that trying to navigate through the extensive number of slight variations to major differences between limited, exclusive and small batch releases can not only be daunting, but downright frustrating. If you are not a fan of the Viaje line, keep in mind it is crucial to know that being able to properly discern one from another can yield a 'wow' or 'dog rocket' experience. I will try my best to give you the unabridged version but if you really want to get the down and dirty details, I suggest lighting up a long cigars and digging through Google - it's a fun but lengthy journey to get it all straight! Originally released in 2010, the Skull and Bones series has been one of the companies most sought after and most spoken of series, with the M?stery being one of the more 'fun' lines. While often being released near Halloween, the series received it's name, as told by Andre Farkas - due to the incredible secrecy of the key components of the cigar ( size, blend, branding, naming, packaging ) ensuring the "M?stery" of the cigar prior to their physical arrival. I have to admit, there is a cool and frustrating aspect to this type of branding - but at the end of the day it worked, I just had to try one! Being part of the 7th release, the Viaje Skull and Bones M?stery BP is the standard 4 1/2 x 54 vitola in a "Box-Pressed" version for the release. 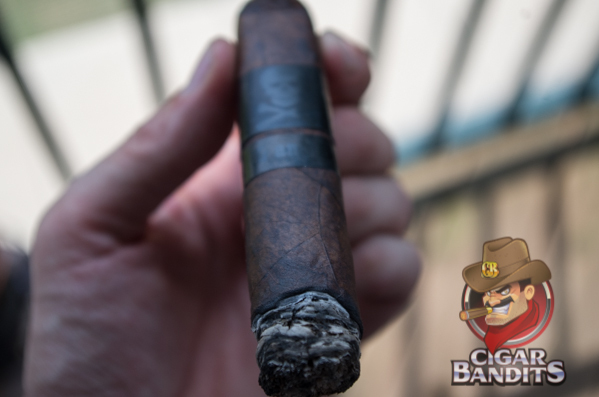 Sporting a black on black band, this blend is similar to the M?stery 2012 by having Nicaraguan binder and filler yet sporting the San Andres Maduro wrapper yet it also differs from the M?stery Vintage which is a true Nicaraguan Puro, the short torpedo variant of the 2011 Box Press release. All being 4 1/2 x 54 and released in 25 count boxes - each retailer is limited to small batch allotment, normally less than 2 boxes a shop. It's okay to re-read that, I wrote it and had to haha! Onto the review! Say what you will about the limited production and availability, if there is one thing to take away from Viaje is the high level of quality and construction these cigars carry. Evenly packed from head to foot, there was only the slightest amount of give at the foot reinforcing this point. While there was copious amounts of smoke production as well as very pleasant and direct flavors produced - the burn flat out sucked. Crooked, uneven and requiring a number of touch-ups, I was beyond annoyed with how much attention went into correcting the burn on this cigar. My notes are filled with expletives and descriptions of things better left to the imagination and my photographs are missing a significant number of shots from the middle section of the cigar. 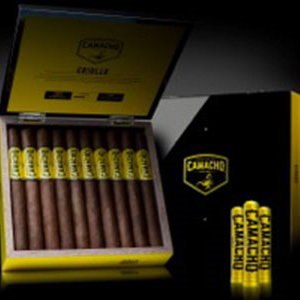 Initially you are greeted with a pleasant and distinctive leather and 'tobacco' flavor note. While I am not saying that the first few puffs lacked flavor - the notes presented were lacking a certain level 'characteristic' though. A leather backbone with black pepper on the retro-hale followed by a mix of wood and almonds on the finish. 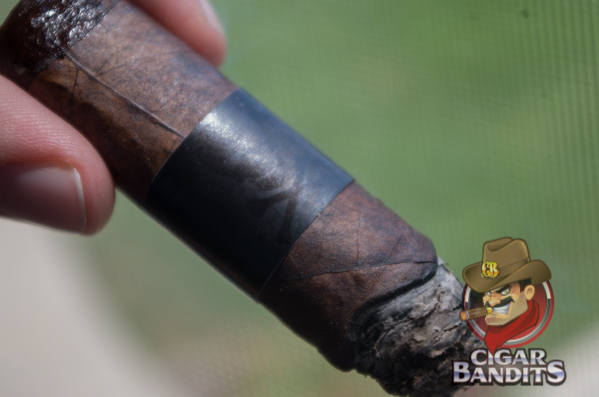 A few moments into the cigar and the lackluster beginning was brought to fruition with an ebb and flow of similar flavor, all while taking on a seemingly sweeter and darker note from start to finish. The final portions of this cigars life left with more of a cocoa and almost espresso flavors right down to the end. I have to admit, this is one of those cigars that I would not have originally gone out of my way to locate but if you are one of those fans who are working your way through the releases, this is certainty high on the list of 'must try'. While not one of the most complex cigars out there - I am a firm believer that a 'really good' cigar doesn't have to be one where you sit down, turn off the music and your phone and give the cigar and it's flavors your full undivided attention. 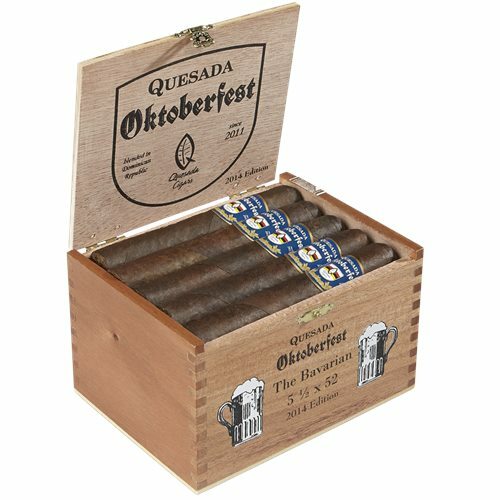 This is one of those cigars that you can sit back and have around a fire with friends and enjoy the slight variations yet is also a cigar that rewards you for truly devote your senses to the experience. If you are a fan of Viaje or more specifically the Skull and Bones releases this should be high on your list. If you can find a box, of course grab it but at this point I recommend grabbing whatever you can get your hands on. From reviews I have read of when this cigar was new, they appear to be aging phenomenally and in my opinion, only have room to grow. Smooth, flavorful yet direct with a 'fun' aspect to it. My personal complaint - photographing the Black on Black band sucked haha! Great cigar - highly recommend locating one.